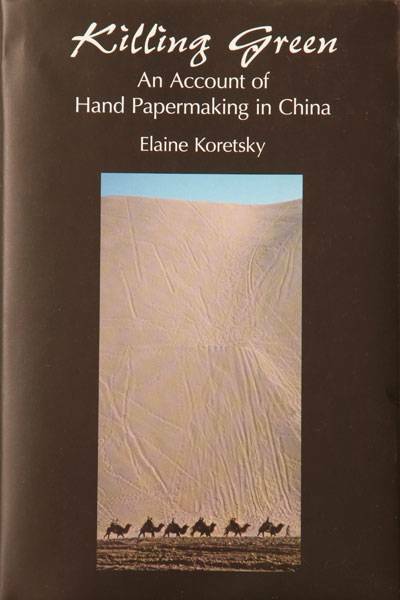 Elaine Koretsky has traveled in China for more than a quarter century to visit remote papermaking villages and document how paper is still being made by hand. Killing Green refers to the processing of bamboo, the primary fiber used by Chinese hand papermakers. This book not only describes the people, places, and techniques witnessed by Koretsky, but it is also an entertaining biography of an intrepid scholar who has devoted her life to papermaking by hand. llustrated with 85 color and black and white photographs and maps.